Now that the Health (Regulation of Termination of Pregnancy) Act is in effect, it’s important that we let our elected representatives know that we welcome the introduction of abortion services in Ireland, and that we want access to abortion care to be expanded in the future. A quick and powerful way to do this is to write a letter to the editor of your local newspaper. Just like the rest of us, our elected officials tend to use the opinion pages to see what issues are currently important in their communities. Wondering how to go about writing a productive letter? Here are five tips to get you started. 1) Write about something that matters to you. What concerns do you have about the current legislation that you want to share? Are you worried about the mandatory waiting period, or the possibility of doctors turning patients away? Letters to the editor work best when they focus on an issue that you care about. For example, if you live in or are from a rural area, you could write about why it’s important that abortion is accessible in the country, not just in big towns and cities. If you need some inspiration, take a look at our submission on the legislation or write a response to an article that the paper has published recently (don’t forget to include the title of the article, author and date of publication). Don’t worry about fitting too much in; editors are more likely to publish letters which focus on a single issue. 2) Keep it brief and local. Letters to the editor are generally under 250 words, which gives you plenty of space to make your point. The exception to this is the ‘personal experience’ letter – the ‘In Her Shoes’-style letter that illustrates the impact of abortion restrictions on people. If you can, try to connect your letter to something current and/or local. This could be referring to the actions of a local elected official, the experience of your local group during the referendum campaign, or citing the number of people from your county who were forced to travel between 2012-2016. Either way, local papers are drawn to content with a local focus. 3) Don’t worry about being an expert. 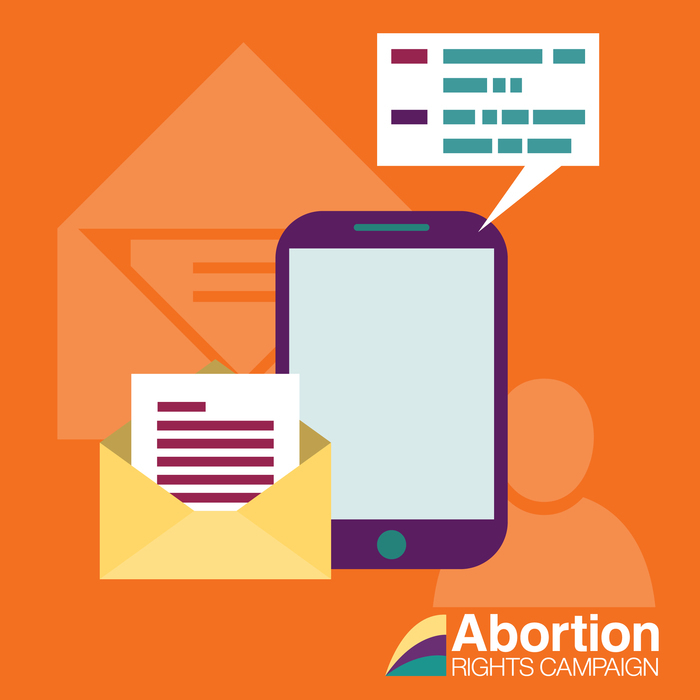 You don’t need to know everything about the legislation or abortion policy to submit a letter. This letter is about your experience and/or your opinion. During the referendum, we all learned that we have something to say about abortion rights. You know what you’re talking about and this task is far easier than knocking on doors! A useful guide is the three-part Proposition-Analysis-Conclusion model. For example: ‘The Health Act contains a mandatory three-day waiting period’ (proposition); ‘Waiting periods discriminate against poor, rural, and vulnerable people’ (analysis); ‘For abortion services to be equally accessible to every citizen of Ireland, the waiting period must be ditched’ (conclusion). 4) Include your name, town and phone number at the end. Most papers will not print without these details. Plus, adding a local town adds a local connection. (Your phone number will not be printed – it is just in case the paper wishes to contact you.) If you’re writing from abroad (letters editors love having an international dimension), it pays to include the county/city where you grew up or used to live. If you’ve written a particularly personal letter, some editors will withhold your name and address – the classic ‘Name and address with editor’ that you will occasionally see. Other papers, such as the Irish Times, won’t publish a letter without a name. 5) Submit it to your paper. If you submit to more than one paper, just make sure to BCC the email addresses. Here is a great list of Irish newspaper contacts that you can use to send your letter. Allow a lead time of a couple of days. Special note: If writing to The Irish Times, you must submit your letter directly to the newspaper in the “to” line of the email. During the referendum campaign, several regional Together for Yes groups worked in writers’ circles, taking turns to write a letter, and going over each other’s work. The support of fellow writers can get you over the hump if you’re stuck when it’s your turn to write a letter, or someone else can step in with a letter if writer’s block has done you in. Some groups met up in person; others worked online, using WhatsApp groups, Google Docs, or Facebook. Groups allow people’s strengths to come to the fore; some people are good at brainstorming subject matter, others at the act of writing, others at spotting pitfalls or flaws in an argument. Some groups would stockpile letters, and members could just pick one to send. This ‘ghost-writing’ system allows for a high rate of publication, and a wide variety of letter-senders (as opposed to letter-writers) means the same one or two names don’t pop up every week. Once you’ve submitted, make sure to keep an eye on the opinion pages (in print or online) to see if you’ve been published. Letters will often be printed by more than one newspaper, and sometimes a letter will be published weeks after you’ve submitted it. If your letter makes it in, let us know! Share it with us at [email protected]. And if you’re on social media, share it there, too.